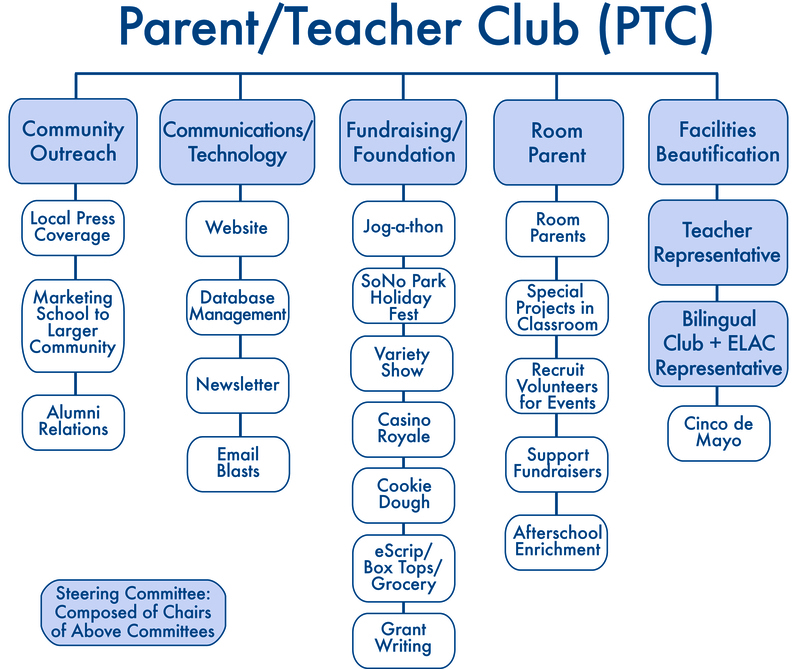 The McKinley Parent Teacher Club (PTC) orchestrates a wide range of activities and services to help supplement the funds our school is allocated by the government, advocate Parent/Teacher issues directly to our school board, and raise school spirit. Art and music have all but disappeared from the curriculum of many city schools, but we have been able to bring them back by hiring both music and art teachers from PTC-raised funds. We also help fund student field trips and sponsor a variety of staff appreciation events, such as our Teacher Welcome Back Luncheon, Staff and Classified Employee Appreciation Weeks, and school clean-up days. Our PTC is made up of a dedicated group of parents and school staff who volunteer their time to create a variety of fun events and programs for our kids and families. The PTC also supports our English Learners Advisory Committee (ELAC) to celebrate diversity by hosting Fiesta McKinley and other multi-cultural events, which are open to the community. If you simply do not have the time to volunteer, consider Making a Donation to the McKinley Foundation in appreciation for the extraordinary free public education that our teachers, principal and classified staff provide our children. As our PTC continues to grow, we urge all parents to join in making a difference for our school, our staff, and most of all, your child.